﻿ Sheriff Hotel London. JIMAT di Agoda.com! Ada soalan mengenai Sheriff Hotel? Sama ada anda melancong atau ke luar kawasan kerana kerja, Sheriff Hotel merupakan pilihan penginapan hebat ketika melawat London. Dari sini, tetamu boleh menikmati akses mudah kepada semua yang bandar meriah ini boleh tawarkan. Persekitaran yang terjaga dan kedudukan berhampiran dengan Farr Vintners, Pimlico, Christopher Gibbs memberi hotel ini daya tarikan istimewa. Sheriff Hotel menawarkan perkhidmatan yang sempurna dan semua kemudahan penting untuk menceriakan pelancong. Hotel ini menawarkan pelbagai kemudahan di lokasi untuk memuaskan hati tetamu termasuk yang arif. Semua bilik tetamu menawarkan pelbagai jenis tahap keselesaan. Banyak bilik turut menyediakan karpet, televisyen skrin rata, internet wayarles, internet wayarles (percuma), bilik larangan merokok untuk memuaskan hati tetamu. Di samping itu, pihak hotel menawarkan aktiviti rekreasi untuk memastikan anda mempunyai perkara untuk dilakukan sepanjang penginapan anda. 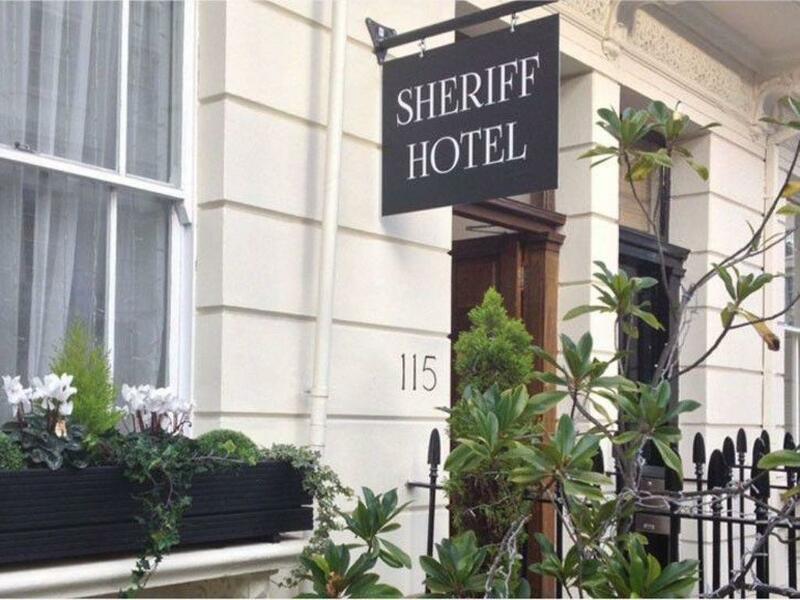 Sheriff Hotel merupakan tempat yang ideal bagi penginapan pelancong yang mencari keindahan, keselesaan dan kemudahan di London. Penginapan ini tidak mempunyai lif. 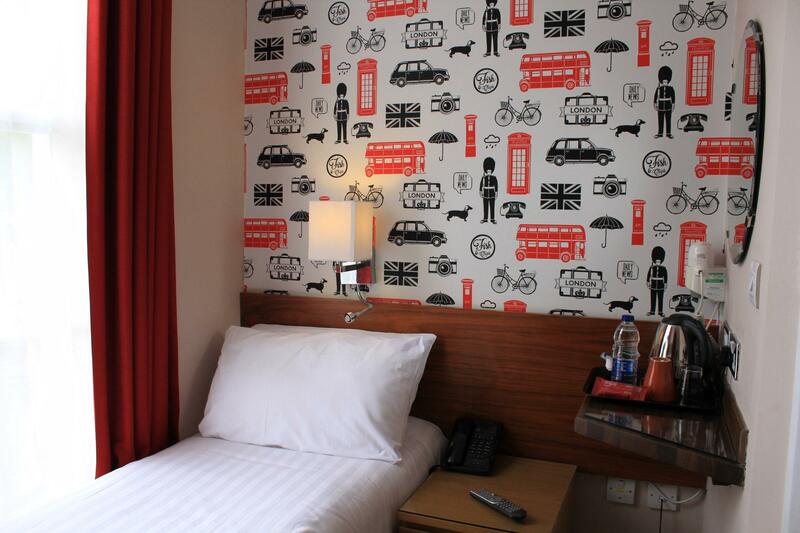 Good hotel close to Victoria Station. Staff very friendly. Good breakfast. At full price the hotel is a little on the expensive side - and there are sometimes 'offers' / discounts at short notice. I have stayed in many hotels and this is a good place to stay if you are on a tight budget. The hotel is super cute and has absolutely everything you need. 5 minute walk from Victoria station which is superrrr convenient. However the room was tiny with not a lot of walking room or space for luggage. However, for the price it was very very good. Super clean, convenient and comfortable. A quiet delicate townhouse in city of Westminster. Waiting for sunrise is very marvelous in balcony. Room in hotel is quiet small and breakfast is simple but good. Briefly speaking, a very right choice for visitors in city of Westminster. Some rooms are not in the same building and it's not mentioned anywhere on the website. At check-in they gave us a room which was occupied by someone else! We got another one after 20 mins complaint but the new room had no running water coming from the wash basin! It got fixed but the next day the heating stopped working and the hotel staff told us since it was Sunday there was nobody from maintenance as it's their day off! This hotel requires a lot of maintenance and it's not fair on the guests to face so many issues. Breakfast was ok but the room is small and overcrowded as we had to queue for 25 mins to be able to sit down and eat. We will never stay here ever again. (+) - affordable price - nice staff - free luggage storage (-) - room was too small. Didnt fit with 2 big luggages. - room heater didnt work. All 3 nite we were freezing. - bathroom located outside of the room. My wife have to wear fully clothes everytime when need to use the bathroom. - no elevator. - narrow stairs. Little bit challenging with big luggages. My husband and I stayed in one of the more basic rooms knowing full well that it would be small. The website has a clear honesty statement declaring as much. Although there was a cute and spacious balcony that helped make it not feel so small. One of the best parts is the hotel gives you a cell phone included in your stay with free calls (including international) and data. Not to mention the location is prime! Just minutes walk from everything including public transportation, food, and shopping. They could do a little better of a job cleaning as there was a hair wad on the bathroom floor and the staff wasnt the most talkative. But other then that it was lovely. I would recommend. 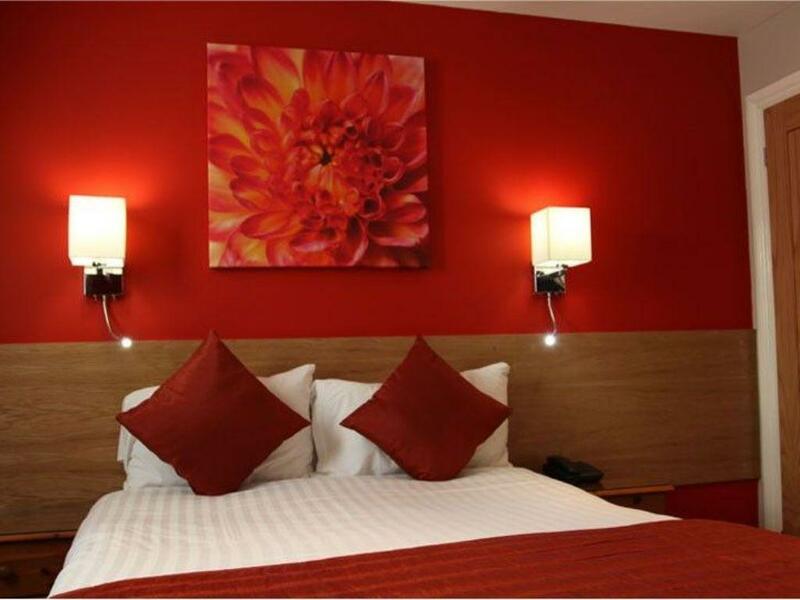 The hotel is near Victoria railway and coach Station, just a few minutes of walking. 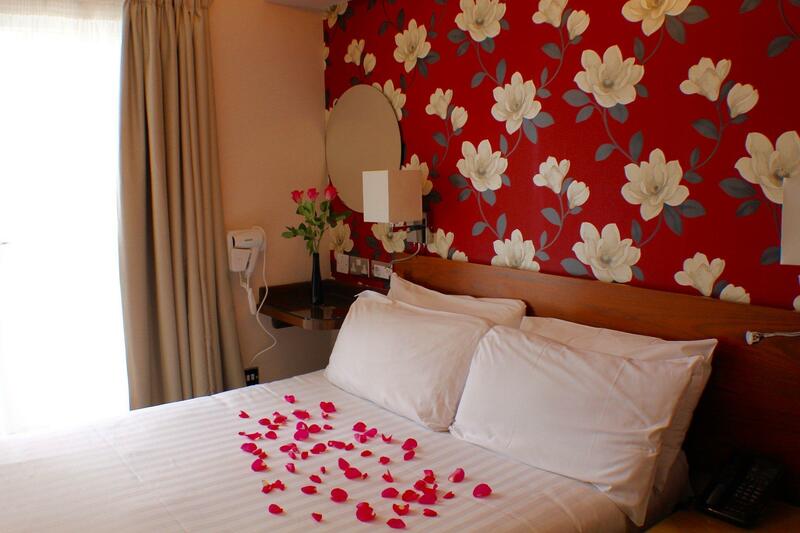 The room is spacious and clean, the bed is comfy. The staff there are helpful as they lend us utensils at latenight for our takeaways. I enjoyed the stay in Sheriff. Due to its location and value for money I would recommend this hotel to anybody who does notind that the rooms are small. It is very clean and has all you need, nice bathroom, coffee and tea, TV, WiFi and a hairdryer for those who fancy that. Fine if looking for budget hotel. Shower room tiny so don’t take clean clothing in with you as they will end up soaking with water dripping due to the condensation. Breakfast -hot water urn lukewarm to make a cup of tea but we didn’t arrive for breakfast until after 9am. Food basic. My room heater not work during winter , and located at highest floor without lift is big challenge move the luggage in the narrow stairs. And worst thing , i found lice on the bed , terrible experience. First experience this in hotel. The room was a bit small but I understand as it was average size of the room in London. The breakfast has limited choices but it was delicious. 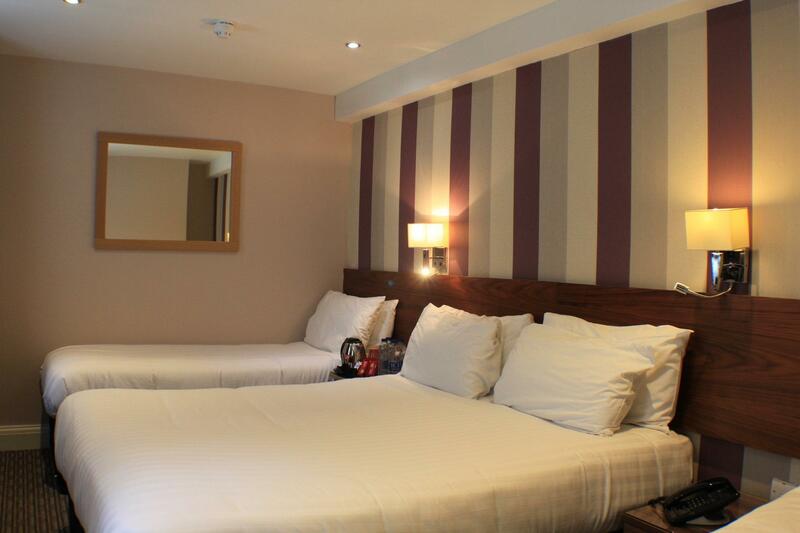 Great location just few minutes walking to Victoria Station and tubes. I haven't encountered any issues of fleas or bedbugs in past 20 years and I thought they have been extincted on earth. However 2 days staying in this hotel told me otherwise and made us poor victims of bite. This is end November time Btw. 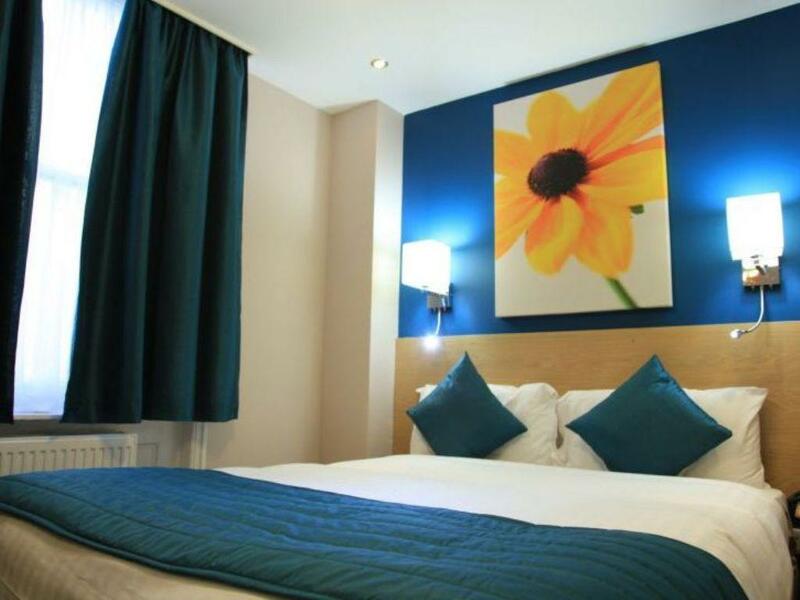 10min walk to Victoria Coach Station and Victoria Station. Breakfast was decent - bread, cereals, coffee, tea. Rooms are small and needs more cleaning as if you look under the bed it’s full of dust! 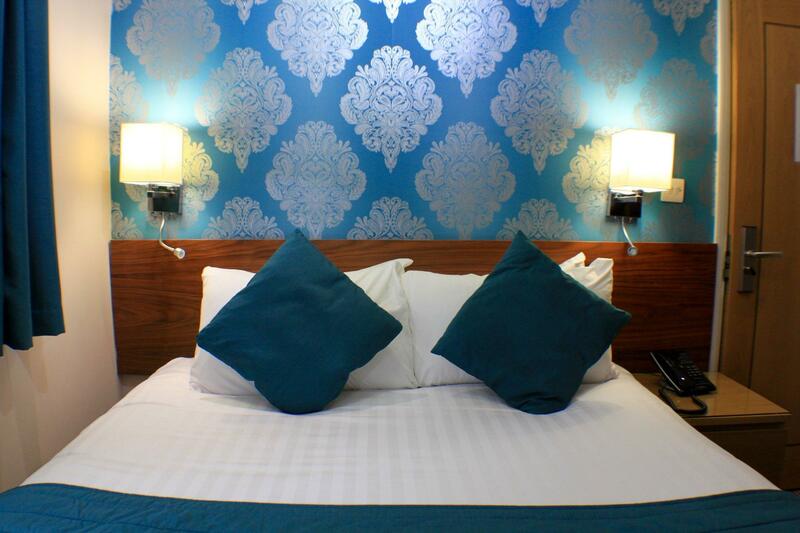 Just 3 min walk from Victoria Station. We had a family room, double bed and 2 singles with ensuite shower. Very central. Breakfast included. Free wifi which was good and strong. Able to drop off luggage at hotel before checkin. Highly recommend this hotel and will return on our next visit to London. We stayed here for one night in January 2018. I must say we were more than pleasantly surprised with the quality of this hotel. Don't get me wrong, it is by no means a five star hotel. We have awarded it 5 stars because for the cost of our twin room (which included a continental breakfast) the reception staff were very pleasant and helpful, our small twin room and bathroom (located by leaving the hotel and on the 2nd floor of a building accessed from around the corner to the Sheriff's main entrance) were very clean and with good facilities. We would use this hotel again and would recommend it to others. The room was cheap, provided with super simple breakfast (bread, eggs and drinks). The hotel was close to Victoria station. The room was very very old as well as the building. It's not supposed to be a hotel for the building design. No elevator. The room was quite dirty and very very small. The staff was great though. It's ok for a 1 night, no more.